5つ星のうち5.0A hard choice is where all of the potential solutions have some negative drawbacks. There are lots of hard choices. They just keep coming up in different forms over and over. I liked the thoughtful explanation of the procedure the author uses to handles a hard choice. Sometimes there is no perfect, right choice. People will complain no matter what you do. You may suffer financial setbacks even if you do the right thing. You are between a rock and a hard spot. 5つ星のうち4.0Great insights on the tough decisions in business! 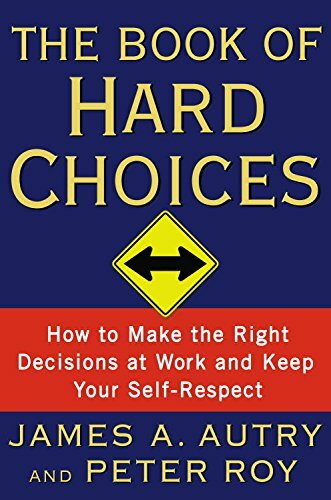 I just finished reading The Book of Hard Choices, and appreciated the many examples of the tough decisions in business. We have all probably dealt with several types of these clients. Autry discusses the challenging dilemma of dealing with these situations involving the more difficult clients, while maintaining your integrity and self respect. He also talks about the importance of never being driven by fear in terms of making important decisions and to remember the long term impact of what we say and what we do. I very much enjoyed the author's comments about living in the "learning zone" instead of the comfort zone. This was an insight that I think is most important for business. Complacency can smother a team's morale, productivity and success. Autry's comments that life experiences and how you cope, shape you are is so true. It also provides hope that we can change the outcomes of situations by how we respond, and who we are being in those moments. Finally, his examples of ensuring ground rules before agreeing to confidentiality were so well written, and so important. As a trainer, facilitator and former mediator, I witnessed firsthand the necessity for ground rules around communication and confidentiality. The "lessons to be learned" summaries at the end of each chapter trivialize the stories. The whole point of these accounts is that these were difficult choices to make, not always with happily-ever-after endings, and not always choices that everyone in good faith would agree with. 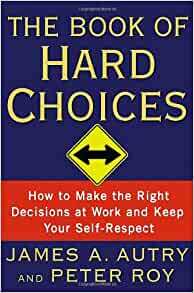 But this book contains more complex real-life situations than I've ever seen in any other leadership book, and it conveys how each person made his or her choices and the conflicts they felt. This books is composed of many short stories which is easier to read and understand. It gives many scenarios from many industries where at some point we will be there or have been there. It reinforces your values and ideas or inspires you to follow your first instinct of doing the right thing. A good leader is a great leader even when he/she losses. I like the fact that at the end of each story it gives you some lessons to remember. Great book for those who are about to get a job. I would have liked to see more stories. 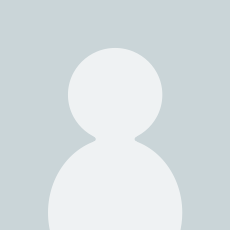 Some of the authors shouldn't hide their names, the stories are more unique and appreciative when they have nothing to hide and have no fear to deal with unethical situations. Overall is a great book to read and enjoy on small breaks.